The hard fact is that the majority of diets don’t succeed. Dieting isn’t easy! Here are 10 key rules to help you make your diet work. The biggest mistake is placing the bar too high. Remember there’s no ‘ideal’ weight for all; healthy weight varies according to the individual, depending on your build, metabolism, genes, hormonal changes (pregnancy and the menopause), and more. If you try and lose a drastic amount of weight, you’ll only set yourself up for a fall, because you’ll only end up putting the weight back on and yo-yoing, which is dangerous. 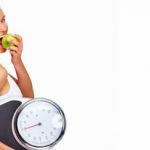 Before starting anydiet, you need to identify a target weight your metabolism is capable of maintaining in the long term without causing the frustration that leads to yo-yoDieting. You shouldn’t be losing weight to please other people: you should be doing it for yourself, for your own wellbeng and health. There’s no use battling to lose a few excess pounds if you feel good about yourself and your weight poses no threats to your health. Dieting is tough, so it’s vital that you really want to slim down before you set off on a weight loss journey. Going on a diet means putting some food habits and treats on the backburner. Before starting your diet, make sure you’re mentally ready and have the time to go on a diet. Don’t even think about it if you’re going on holiday in two weeks, if you’re going to a party tomorrow, or if you’re going through a period of stress or depression. Identifying the reasons why you put on weight (eating the wrong foods, constant Dieting, unbalanced eating habits, big lifestyle changes, environmental factors, lack of exercise) will help you find solutions! 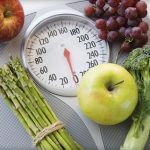 Dieting is like anything in life: you need to pinpoint the factors that lead to a problem so you can come to grips with them and right the situation! Food combining, low-calorie, meal substitutes…there are so many different dietsand plans it would take a lifetime to try them all! Whichever you try, remember there’s no miracle method. Each has its selling points, advantages and disadvantages. The essential thing is to choose a balanced diet that fits your lifestyle (it it has to be juggled with the kids, lots of meals out etc) and your needs (obesity, a big appetite, etc). Forget half-hearted diets where you starve yourself one day then let yourself go the next. There’s nothing worse – or more confusing for your body – than fastingone day and bingeing the next. If you want it to work, you need to follow the rules strictly for the duration of your diet. The period following a diet is without doubt the most difficult one. To lose weight, your energy intake needs to be lower than you energy expenditure. 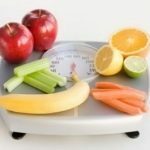 To stabilise your weight, you need to find a balance between your energy intake and expenditure. Once you’ve reached your target weight, the key stabilisation period adjusts you to your new weight. By trial and error, you stabilise your weight and avoid piling the pounds back on. Once you’ve reached your target, don’t go picking up your old bad habits like skipping meals, putting a huge dollop of butter on your pasta or gorging on chocolate in front of the telly. Learn to eat healthily, following a balanced diet. You’ll only put the weight back on if you don’t! Don’t worry about focusing on your weight once you’ve finished your diet. Depending on your hormones, water retention, what you’ve eaten, etc, your weight will vary from one day to another. To avoid any nasty surprises though,weigh yourself once a week, always at the same time and in the same clothes. If you have put a little weight back on, go easy on the fatty and sugary foods for a few days. You won’t lose weight without exercising. Even if this doesn’t involve a real sportper se (climbing stairs and walking are great forms of exercise), a bit of exertion is a surefire way of using up calories, helping you maintain your target weight in the long term.